P – Michael Pineda (vs. Chicago White Sox): $10,600. Over his last six starts, Pineda has been on fire. In that timespan, he owns a 2.74 ERA and his opponents are only batting .201. He is coming off one of his best starts of the season last time out against the Texas Rangers, in which he struck out 12 batters. P – Sonny Gray (vs. Minnesota Twins): $5,900. Gray has faired very well against mediocre offensive teams (Rays, Reds, Brewers, Angels), but he has been blown up against elite offensive teams (Pirates, Rangers, Red Sox, Mariners) this season. Luckily, Gray will make the start against a team that has struggled offensively this year on Wednesday. During June, he had a very strong month, posting a 3.23 ERA. P- Jose Fernandez (vs. Atlanta Braves): $13,700. Fernandez has been lethal on the mound recently. In his last 10 games, he owns a 2.25 ERA, with 91 strikeouts in 64 innings pitched. Jose will be facing one of the worst offenses in baseball, so this should be a great matchup for daily fantasy. P- Sonny Gray (vs. Milwaukee Brewers): $6,600. Gray pitched incredibly well in his last start until the sixth inning, which he surrendered five funs. In his two starts prior to his last starts (since returning from the DL), he gave up only three runs on 12.2 innings pitched. Over the last seven days, the Brewers’ offense ranks in the bottom third in runs, batting average, OBP, and slugging, so hopefully Gray can take advantage of this struggling offense in his home park. P- Steven Matz (vs. Milwaukee Brewers): $10,700. Earlier this season, Matz dominated the Brewers over seven innings, giving up two runs, and striking out eight. He lost his first start in eight starts this week, so he should be hungry to get back to his winning ways against a very average team. P- Cole Hamels (vs. Seattle Mariners): $8,500. Hamels has already made one start against the Mariners this year and it was a good one. In seven innings, he only gave up two runs, while striking out eight. The Mariners offense has been very good recently, but a veteran pitcher like Hamels should be able to shut them down. At only $8,500, Hamels could be a steal. P- Chris Archer (vs. Houston Astros): $10,400. I’m taking a pretty big risk here, but Archer’s strikeout ability and the Astros free swinging bats could be a great combination for this matchup. In Archer’s last start, he struck out 12 batters in six innings pitched, so hopefully he can transfer this success to Saturday. In 64 career at bats against Archer, the Astros’ lineup is batting .172, with only two XBH, 22 strikeouts, and a .229 OBP. The Houston Astros are currently ranked last overall in strikeouts, with 605 strikeouts, which is 40 more than the second place team. P- Eduardo Rodriguez (vs. Minnesota Twins): $7,100. 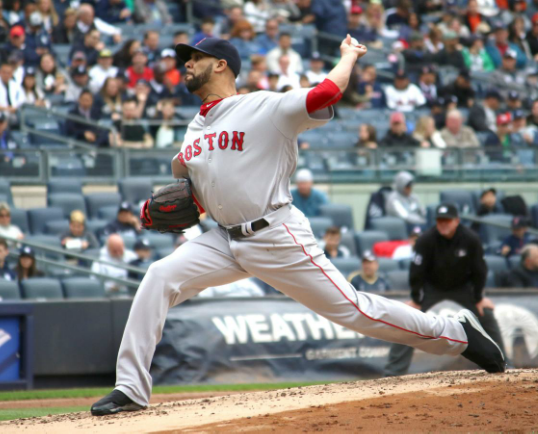 E-Rod has only had two starts since returning from an injury, but they have been against some very difficult offenses, the Baltimore Orioles and the Toronto Blue Jays. He will face a much easier offense on Saturday, the Minnesota Twins. In his one career start against the Twins, the Twins recorded 24 at bats, with only one run, seven strikeouts, and a .125 BA. The Twins offense is currently ranked 26th overall in runs, 19th overall in batting average, and 22nd in on base percentage. P- Clayton Kershaw (vs. San Francisco Giants): $13,900. In 237 career at bats against Kershaw, the Giants’ offense is batting .148, with 76 strikeouts, and only 10 walks, with a .189 OBP. Kershaw has been absolutely dominant all year long and regardless of his high price, he is a must start. In 12 starts, he is 8-1, with a 1.46 ERA, 54 hits against, 109 strikeouts, and only 6 walks in 92.2 innings pitched. P- Ian Kennedy (vs. Chicago White Sox): $9,300. In 78 career at bats against Kennedy, the White Sox’ offense is batting .244, with 20 strikeouts, five RBIs, and a .272 OBP. The White Sox offense has also struggled quite a bit recently. In the past seven days, the White Sox rank 28th in runs scored (20), 27th in batting average (.212), and 21st in OBP (.300). If you have any questions or comments about this article or fantasy baseball, please Tweet me. I post daily DFS lineups for Draft Kings everyday, so please make sure to follow my blog. If you have any questions or comments about this article or fantasy baseball, please Tweet me I post daily DFS lineups for Draft Kings everyday, so please make sure to follow my blog and my Twitter for updates. P – Kevin Gausman (vs. New York Yankees): $6,900. Gausman was impressive in his first 2 starts in 2016. He will be facing a mediocre, New York Yankees, offense on Thursday. Due to lack of games on the slate, Gausman’s price is what made him so attractive. His strikeout potential makes him a decent play on Thursday. This is a bit of a risky pick, but he has showed a lot of promise over his first few starts. He is averaging 16.1 points per game on Draft Kings this season. P – Jacob deGrom (vs. San Diego Padres): $11,400. deGrom will be facing the worst offensive team in Major League Baseball on Thursday, the San Diego Padres. He will also be pitching in San Diego’s park, which is known as a pitcher’s park. For those two reasons, he is a must play on Thursday. He is averaging 21.5 points per game on Draft Kings this season. P- Jon Gray (vs. San Diego Padres): $7,900. This is a pretty risky play on Monday, but many factors point towards Gray having a big game. Gray struggled in his first two starts this season, but they have been against two very tough teams, the Pirates and Dodgers, and they were played at Coors Field. Coors Field has not been kind to Gray in his 7 career starts at home. In those starts, he has thrown 29.1 innings, with a 9.20 ERA, 52 hits against, 9 walks, and 29 strikeouts. In 4 career starts on the road, he has thrown 20 innings, with a 2.70 ERA, 16 hits, 8 walks, and 25 strikeouts. Luckily, Gray will be on the road on Monday. Not only will he be on the road, but he is pitching at a pitcher’s park in San Diego against a mediocre offense. In his only career start versus the Padres, he threw 5 innings, giving up 2 hits, 2 walks, and 6 strikeouts. Gray’s impressive career strikeout rate (9.5 strikeouts per 9 innings), success on the road, and favorable matchup all point to a great performance on Monday. P – Johnny Cueto (vs. Cincinnati Reds): $10,800. This start is going to be an emotional one for Cueto. He will be returning to Cincinnati for the first time since he was traded. He played 8 years in Cincinnati, so the fans will be behind him and I’m sure he wants to put on a show. Not only will his emotions play a factor, but he is facing one of the worst offenses in Major League Baseball. The Reds are ranked as the 28th overall offense, which is clearly a huge advantage for Cueto. In Cueto’s first 5 starts in 2016, he is 4-1, with a 2.65 ERA, 33 strikeouts, and only 5 walks. In his 98 career starts at Cincinnati’s home stadium, he has a 48-22 record, and a 2.91 ERA. All signs point to a huge day for Cueto on Monday. He is averaging 25 points per game on Draft Kings this season. Note: There are only 8 games on Thursday, which means the match-ups are very limited. There is also a very good chance of rain for the following games, so pay attention to the forecast: Phillies vs. Nationals, Pirates vs. Rockies, Athletics vs. Tigers. ant. In 27.1 innings pitched, he has a 1.98 ERA, 23 strikeouts, 5 walks, and a 2-1 record. The Brewers’ offense has struggled this season. They are currently ranked as the 25th ranked offense in Major League Baseball. Lester will be throwing off of his home mound on Thursday as well. All of these factors should work in Lester’s favor. NOTE: The Chicago Cubs game was postponed on Wednesday night, so Jake Arrieta may take Lester’s spot on Thursday, and if that is the case, Arrieta is a must add. P – Tanner Roark (vs. Philadelphia Phillies): Roark has been a pleasant surprise for the Washington Nationals this season. In his first 4 starts, he has thrown 24 innings, with a 2.63 ERA, 24 strikeouts, 11 walks, and a 2-2 record. In his most recent start, he threw 7 innings against the Minnesota Twins, giving up 0 runs, striking out 15, and walking 3. He has a favorable matchup against the Phillies on Thursday, so he is a great start in daily fantasy baseball.